August 22, 2018 — Earlier this week, PepsiCo announced that it signed an agreement to buy SodaStream, a producer of home-carbonation machines. SodaStream has faced global boycotts because of its complicity in Israel’s grave violations of Palestinian human rights. SodaStream is still subject to boycott by the global, Palestinian-led BDS movement for Palestinian rights. Its new factory is actively complicit in Israel's policy of displacing the indigenous Bedouin-Palestinian citizens of Israel in the Naqab (Negev). SodaStream's mistreatment of and discrimination against Palestinian workers is not forgotten either. The BDS movement sees SodaStream’s closure of its factory in the militarily occupied West Bank as a success, in line with our commitment to end Israel’s violations of Palestinian human rights. This SodaStream factory was located in one of the largest illegal Israeli settlements built on stolen Palestinian land, on the ruins of seven Palestinian villages whose inhabitants were forced out to make way for a Jewish-only town, ﻿in contravention of international law and decades of stated US policy. As was the case with the international boycott of and divestment from corporations complicit in the crimes of apartheid South Africa, all corporations that are complicit in Israeli violations of Palestinian human rights are legitimate targets for the BDS movement. 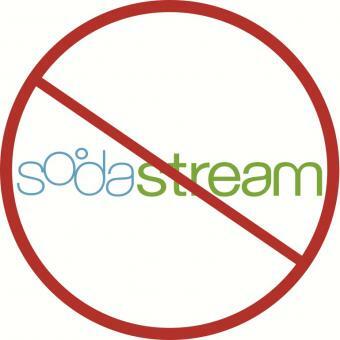 At the height of the BDS campaign against SodaStream, the company’s share price tumbled and its reputation was damaged. It’s clear that violating the Palestinian BDS call is morally objectionable because it’s bad for human rights. It’s also bad for business.